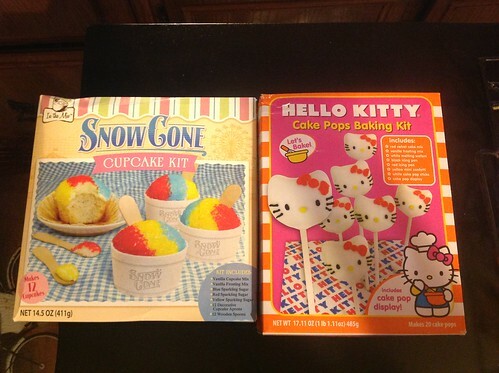 Brand Castle makes Hello Kitty Cake Pops and Snow Cone Cupcake Kits which are a fun way for parents and children to get baking! The baking kits retail between $3.99 - $7.99 and come complete with all mixes, frosting and baking accessories. You can find the kits at grocery stores across the country. I plan to make some for the fourth of July weekend, and I will post a review here.